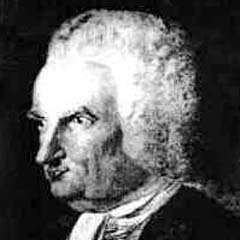 James Burnett, Lord Monboddo (1714–99), was a judge and pioneer of comparative linguistics. 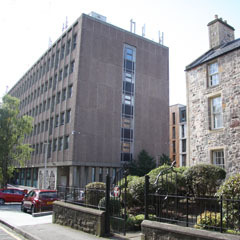 He discussed his theories at ‘learned suppers’ held in this house where he entertained many of the leading figures of the Scottish Enlightenment. As well as expounding his ideas on the origins of languages his also speculated on the relationship between apes and humans, which has led some to see him as an early evolutionary thinker. His beautiful daughter Elizabeth, who died of tuberculosis in 1790 at the tragically early age of 24, was the subject of a poem by Robert Burns, ‘Elegy on the late Miss Elizabeth Burnet of Monboddo’. Portrait of James Burnett, Lord Monboddo (1714–99).